We’re not your usual pharmacy. Guardian Pharmacy of Missouri is an experienced post-acute, assisted living, and long-term care pharmacy serving facilities across the state and throughout northwest Arkansas. 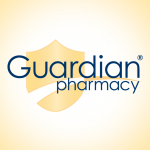 Locally owned and operated, Guardian Missouri is affiliated with one of the largest long-term care pharmacy providers in the nation, Guardian Pharmacy, which has a national support center located in Atlanta, GA. While our support center contributes significantly and strategically to our operational success, the decisions about how to best serve our markets are made locally to ensure quick decision making and flexibility to tailor service to the individual needs of our customers. The Guardian Missouri team prides itself on being an innovator and knowledge leader in the long-term care industry. We are committed to developing long-term facility partnerships which advance pharmacy services through efficiency, safety and results. MORx program coverage will be changing on June 30, 2017. As a locally-owned member of the Guardian family, we are proud to announce that Brookdale has chosen Guardian as a preferred pharmacy provider.